Above are a few of the books that have been waiting for me so very, very patiently... two are short story collections: Edna O'Brien's Saints and Sinners (Back Bay Books, 2011) and Shann Ray's American Masculine (Graywolf Press, 2011). While I'm not actually a fan of her music, I am really looking forward to reading Patti Smith's memoir Just Kids (Ecco, 2010) which won a National Book Award last year. Vanessa Diffenbaugh's The Language of Flowers (Ballantine, 2011) sounds like a truly lovely novel and a perfect read for anyone who feels the garden beckoning. 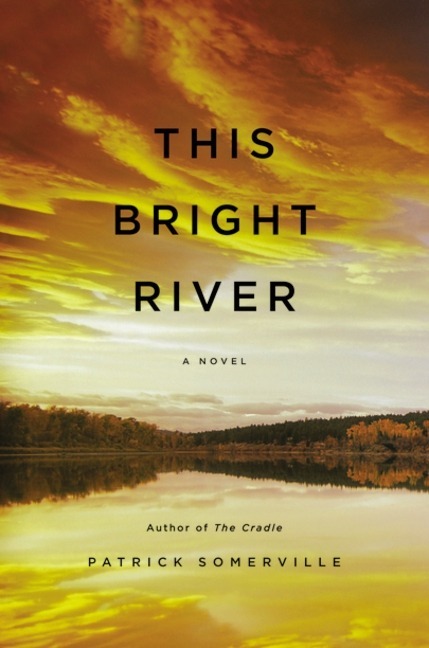 As you know from earlier posts, I've become quite a fan of Patrick Somerville - his new novel This Bright River is coming out later this spring/early this summer from Little, Brown. 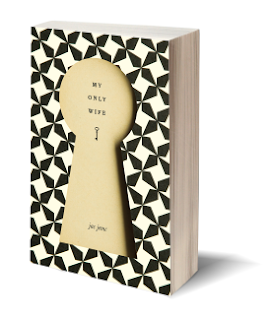 The publishers call it "a compelling family drama and a surprising love story," but from past experience I'm anticipating it will also be brilliant writing. Which books are piled up on your bedside table or queued up in your e-reader or on your wishlist? Share in the comments, and happy reading! I have been in a hold list at the library for the Language of Flowers forever! I can't wait to finally get hold of a copy! I hope it comes to you soon! I've been itching to get to it more and more as the weather warms up... we have some travel coming up soon & I'm thinking a great one to take along. thanks, Lisa! Did you read Just Kids? Curious to hear your thoughts! Great review, Seamus! Really looking forward to it. Saw Patti Smith on Sunday Mornings last week and it really made me want to read Just Kids. Love that she was such a symbol of rebellion and then in the 1980's stopped working to be a SAHM and raise her kids. But so sad, too, because in a very short period of time she lost three people that mattered so much to her. She sounds fascinating, and what amazing people she must have known, and experiences to have had. Looking forward to it! Nice selection of books. I really like the cover of My Only Wife, very unique. It does look beautiful doesn't it? Would love to see it in person. more books than i can count in my tbr! i love the looks of yours. just kids is in my pile somewhere. i know i'll love it when i get to it someday! Got to it over vacation- fascinating glimpse inside life at the Chelsea Hotel and all the creative types that hung out there. But also not a life I would want to live! I love everything about Patti Smyth. Grew up listening to her music, grew into her poetry. You're going to enjoy Just Kids. Got to it over vacation! amazing to hear about the talented people she knew and her relationship with Robert Mapplethorpe. Great memoir, though not a life I would want to live. It looks like you have some good books to read. I have quite a few books on my bedside table: Wonder, Breadcrumbs, The Snow Child, Traffiked (I think that is how the title is written), etc... the list goes on. Those are the ones I will be reading soon because they are on top. Happy reading!